Jie Li is an Assistant Professor of East Asian Languages and Civilization at Harvard University. As a scholar of literary, film, and cultural studies, Li’s research interests center on the mediation of memories in modern China. Her first book, Shanghai Homes: Palimpsests of Private Life, excavates a century of memories embedded in two alleyway neighborhoods destined for demolition. 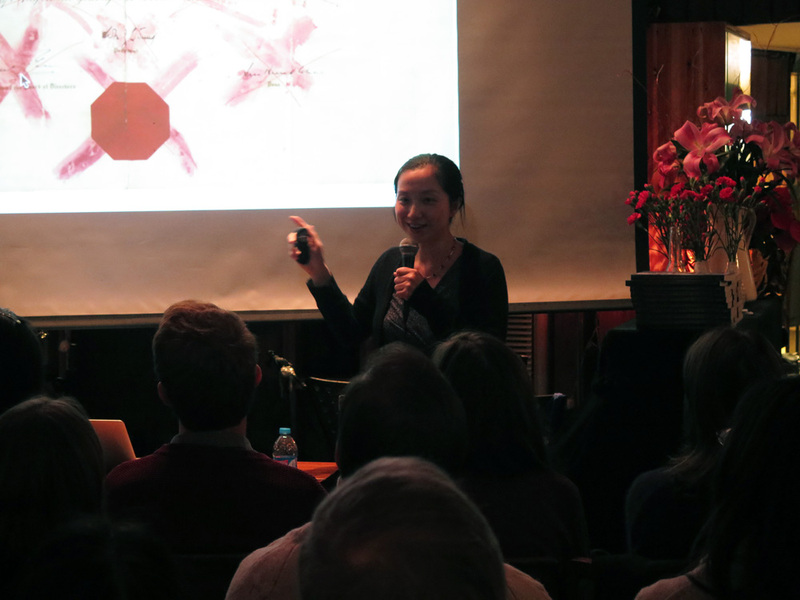 She spoke for YCW Shanghai in December 2014. 1. Before focusing on Chinese literary, film, and cultural studies, you also studied English and German literature. What drew you to film and cultural studies? How do you see your field in relation to other ways of studying and understanding China? In college, I also took a lot of anthropology and creative writing courses, but decided on East Asian Studies because it’s interdisciplinary. English and German literature were postgraduate explorations, but when applying to graduate school, I decided on modern Chinese literary and cultural studies because its humanistic approach allows for more nuanced explorations of historical experiences than the more reductive charts of social sciences. I also chose to focus on film because it is the most important mass cultural medium of the twentieth century, but rather than just focusing on the film text, I am also very interested in its exhibition and reception, which requires doing ethnographic fieldwork. In this sense, I don’t believe in strict disciplinary boundaries, but feel that literature scholars, historians, and social scientists could borrow from each other’s methodologies. 2. 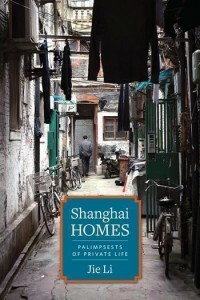 Your talk for YCW Shanghai last December drew from your first book, Shanghai Homes: Palimpsests of Private Life. What are some of the differences between working with films, which are polished, self-contained pieces created with a particular message and audience in mind, and the kinds of material artifacts from private lives that you uncovered in Shanghai? What are the different kinds of information you can glean from each kind of source, and what are their advantages and challenges? A film, especially a popular one, can reveal the fantasies and anxieties of the culture and historical moment that produced it, but it’s not quite a window onto historical realities. By contrast, material artifacts are closer to the texture of everyday life and tell us more about people’s mundane experiences. That said, it’s possible to combine the two approaches. When I first began doing research for Shanghai Homes, I took a video camera with me everywhere to record interviews and document everyday life in the alleyways. I also made a short documentary about one of these alleyway homes, so film for me is not only a collection of self-contained pieces to be studied but also a method to collect information that is highly textured and engages with multiple senses. This is not significantly different from using photographs and everyday artifacts as mnemonic devices in interviews. Both inspire more layered than linear narratives. 3. Shanghai’s labyrinthine lilong alleyway neighborhoods housed more than half of the city’s population from the Sino-Japanese War through the Cultural Revolution, including several generations of your own family. Like the two you explored in your book, many of these neighborhoods have been demolished in the last few years to make way for new development. At the same time, preservation efforts have largely focused on historic architecture, rather than the communities that existed in these neighborhoods. What is your idea of a more holistic preservation policy, and is it possible, or even desirable, in today’s rapidly transforming China? Like many people interested in Shanghai’s lilong since the 1990s, I wrote this book to salvage memories that are being demolished with these alleyways, especially because most existing books focus on the architecture rather than the people. Since I’m not an urban planner, I don’t know how viable it is to preserve the communities in these neighborhoods, given the costs and urgency of modernization and improvement of living standards. To think in utopian terms, however, if the same residents could have the option of moving back into the neighborhood after renovations, then their presence can provide a sense of history and continuity to smooth over the shock of rapid transformations in contemporary China. 4. What advice do you have for aspiring China scholars, in the field of cultural history, or in general? My first suggestion for scholars of modern and contemporary China is to use a variety of sources and approaches that go beyond disciplinary boundaries. At the level of content, there are so many fascinating topics that have not yet been thoroughly explored, among them cultural histories of food, clothing, transportation, sports, and mass media. For example, I would love to read books and articles about radio and broadcasting, mass calisthenics, bicycles, tourism, and karaoke. 5. Can you recommend a Chinese film that every China watcher should see and tell us why? I think every China watcher should watch Jia Zhangke’s 2013 film A Touch of Sin, a very special “martial-arts film” inspired by a number of violent real-life incidents that reverberated through Chinese social media in recent years. Among these are a shooting spree by an outraged villager to punish corrupt and greedy officials, a woman at a sauna who stabs a sexually aggressive customer, and a young migrant worker who commits suicide by jumping off the balcony of his factory dormitory. Set in Shanxi, Chongqing, Hubei and Guangdong, the four stories are linked by the theme of migration and weave together a broad tapestry of contemporary China. It’s a very dark picture that makes us reflect on our own social and ethical responsibilities.